What are the images that pop into your head when you hear the word “China”? Noodles, fireworks, the Great Wall, and more often than not, PANDAS! For my first visit to China, I wanted to visit these amazing animals in their natural habitat: the mountains of Sichuan province to the west of Chengdu. 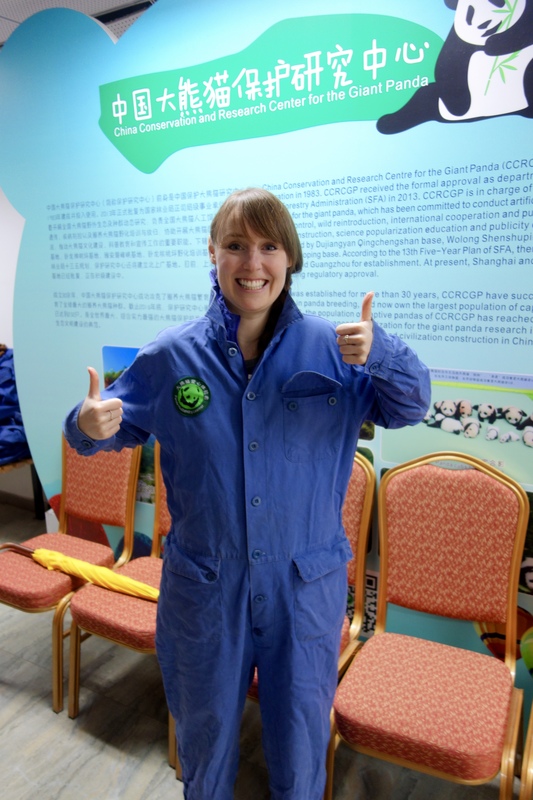 After a lot of online research, I discovered that there are a few places where you can see pandas in/around Chengdu, run by two firms: Chengdu Research Base of Giant Panda Breeding (CRBGPB) and China Conservation and Research Centre for the Giant Panda (CCRCGP). 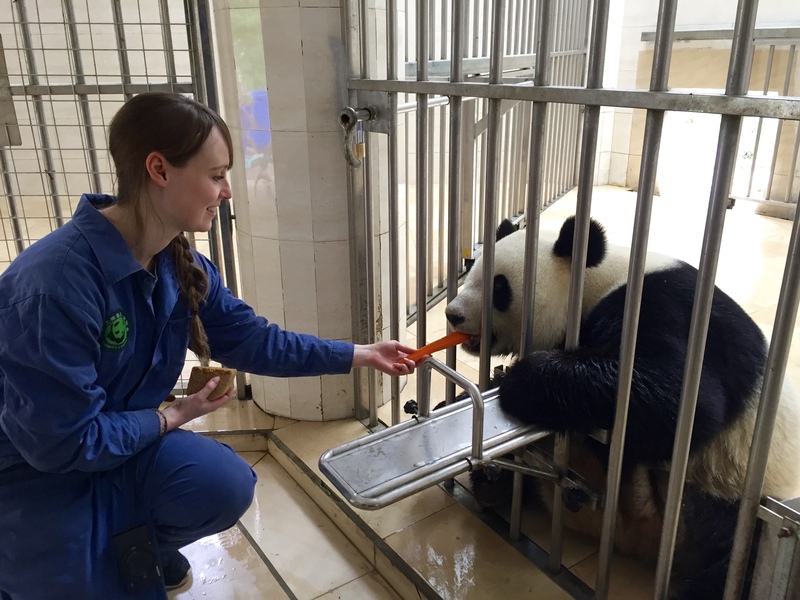 Each panda centre has their own pros and cons; I was interested to find one that offered opportunities to get close to pandas but also supported their well-being. 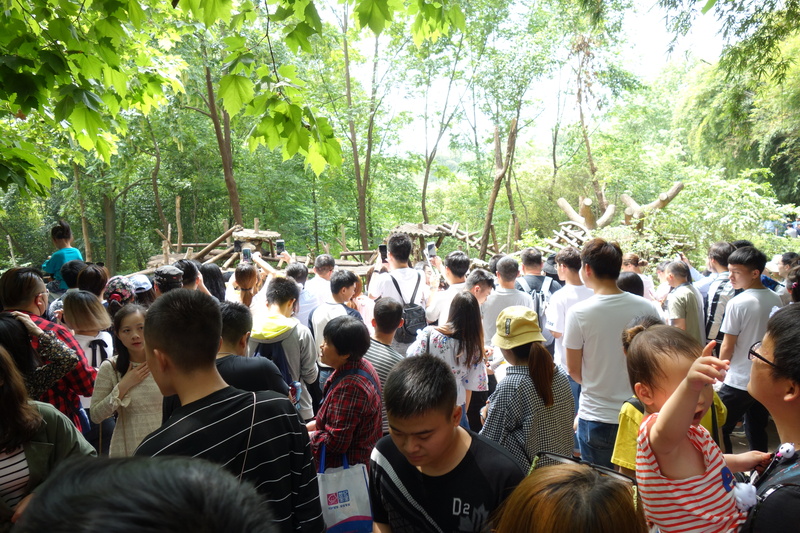 CRBGPB in Chengdu – this is ostensibly just a zoo that only has pandas (giant and red varieties) and is inside the city. 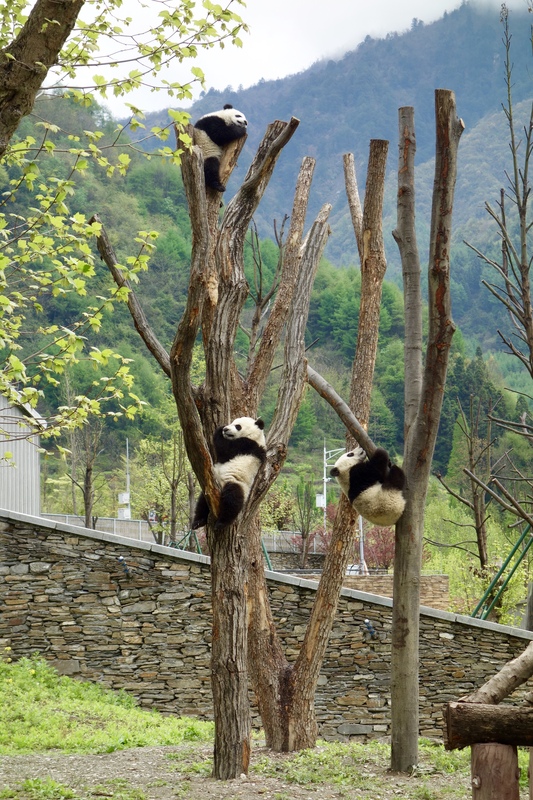 CRBGPB Panda Valley in Dujiangyan – another panda-specific zoo that you can visit in the neighbouring town to the west of Chengdu. 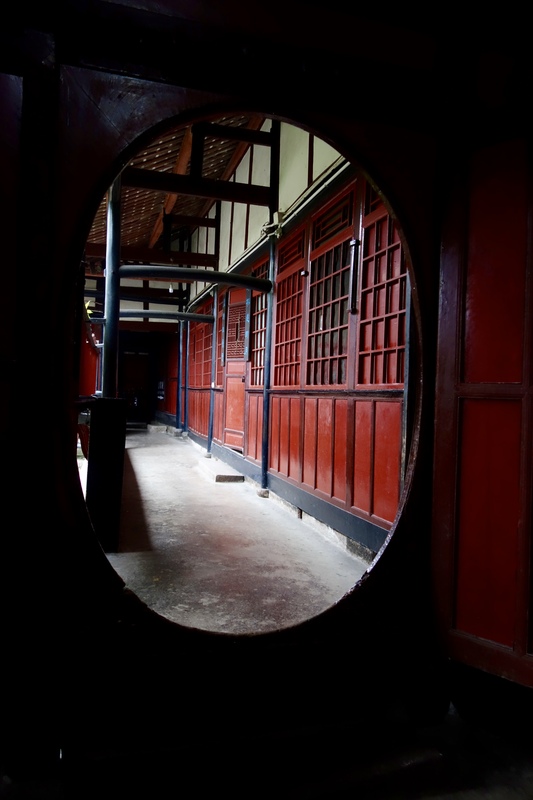 CCRCGP Panda Ark in Dujiangyan – another zoo in/near Dujiangyan. This one offers a volunteer zoo-keeper day program and “hug a panda” photo op. 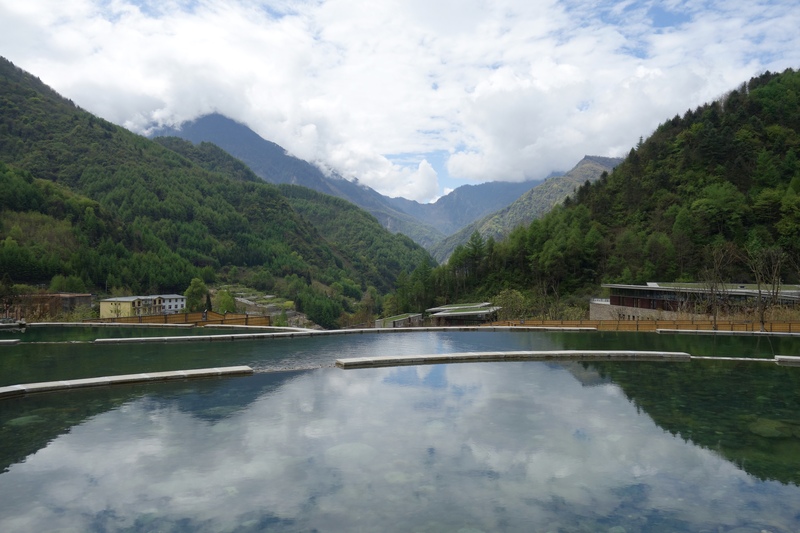 CCRCGP Wolong in Gengda – this place was rebuilt further into the mountains after the original CCRCGP Wolong was destroyed in the 2008 earthquake. They have the zoo part that’s open to the public and offer the volunteer zoo-keeper day program and “hug a panda” photo op. And they have a separate programme not open to the public where they are trying to breed pandas to be rehabilitated into the wild (not just breeding in captivity for captivity). CCRCGP Bifengxia in Ya’an (note, NOT Bingfengxia Zoo) – another more recently built centre, this place took in a lot of the pandas from Wolong after the 2008 earthquake. They also offer the volunteer zoo-keeper day program and “hug a panda” photo op. Dujiangyan is smaller city about a 1.5 hour drive to the north-west from central Chengdu (or 1 hour from the airport) and has an “old town” with an ancient canal system. 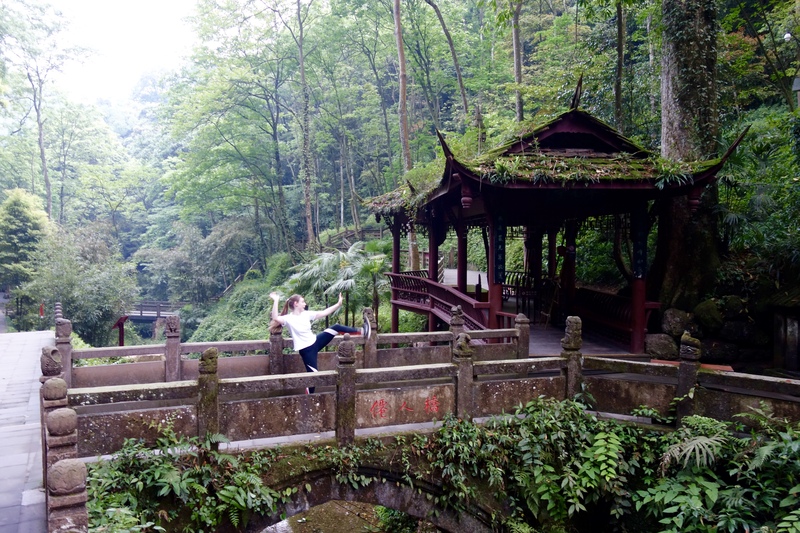 Gengda is about a 2.5 hour drive north-west from central Chengdu (2 hours from the airport, 1 hour from Dujiangyan) and is very rural with only a handful of buildings and nothing else surrounding it. Ya’an is a small town about a 3 hour drive south-west from central Chengdu. 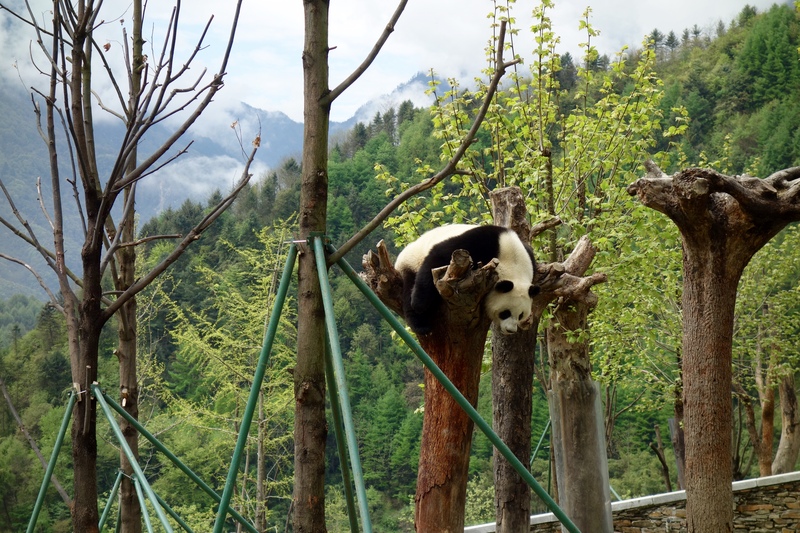 Because of the work they do to rehabilitate pandas and because the location is in prime panda habitat higher up in the cooler mountains (not in a hot city centre…) I choose the Wolong base to visit. To save on the driving, I stayed on the outskirts on Dujiangyan at the Six Senses Qing Cheng Mountain so I would be closer to the pandas. 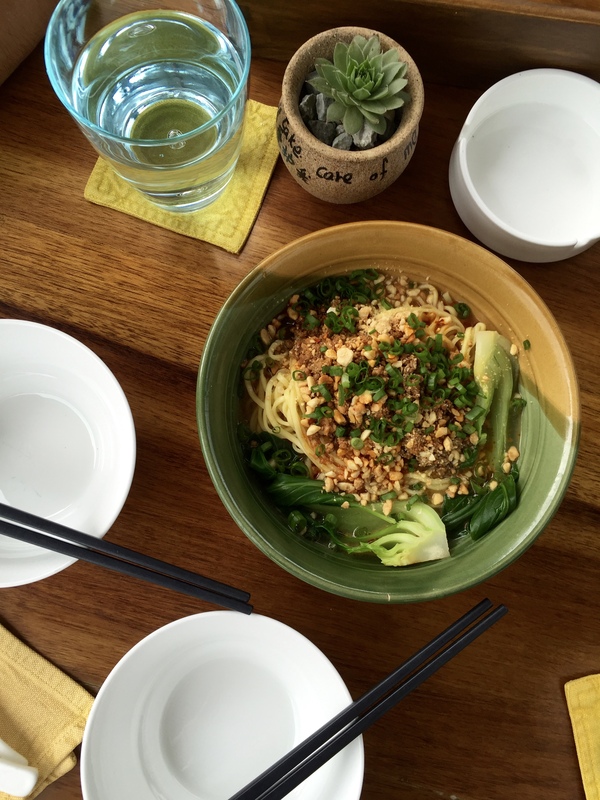 I would highly recommend this hotel and its restaurants – they grown their own organic vegetables in a small farm behind the hotel and the Sichuanese food was delicious. 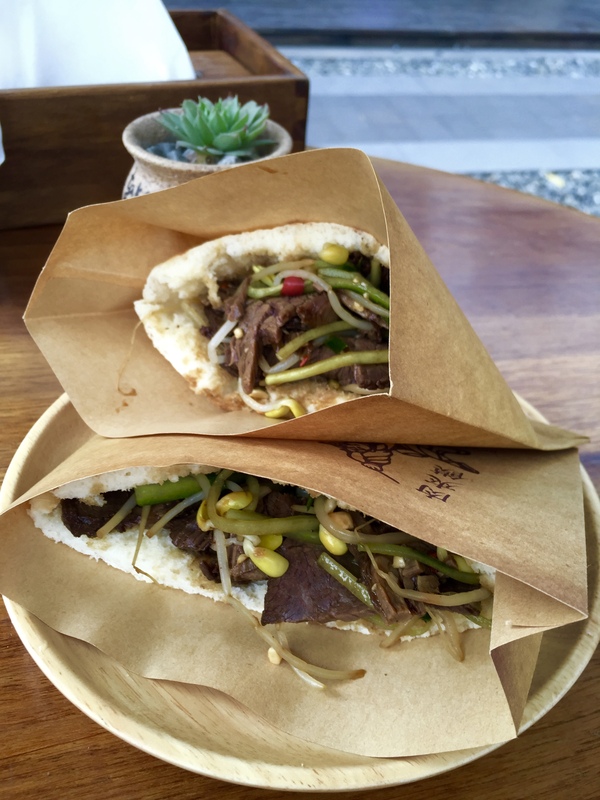 Make sure to try the dan dan mian (spicy and numbing peanut noodles) and the rou jia mo (spicy sliced beef and vegetable in something akin to a pita bread). Try to book your stay in advance and scout for a deal as otherwise it’s not a cheap hotel choice. Since I knew there would be a lot of long distance driving and had no idea about the availability of taxis outside of Chengdu, I hired an English-speaking driver for the weekend. Mark turned out to be a total lifesaver as he stayed for the whole day at Wolong and acted as an interpreter. For 3 days of driving (to/from the airport, to/from Gengda and a stop at the CRBGPB in Chengdu on the way back) he charged 1800 RMB. He was super responsive when I was arranging the itinerary, a really safe driver and an all round nice guy. His details are: +86 158-8113-9886 (phone or whatsapp); chengdumark01@gmail.com (email); chengen0330 (wechat). 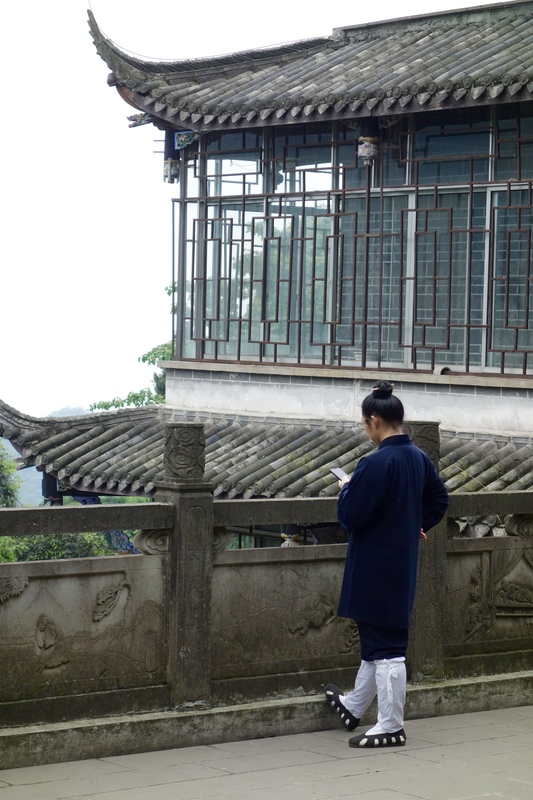 On the day I arrived, I spent an afternoon hiking up Qing Cheng Mountain which is the birthplace of Taoism (and the inspiration behind Kung Fu Panda!). This easy-to-moderate climb took about 3 hours from bottom to top and another ~1 hour to get down. Take the electric shuttle bus (10RMB per person one way) to skip the 30 minute walk up the road to the gateway of the hiking trails. 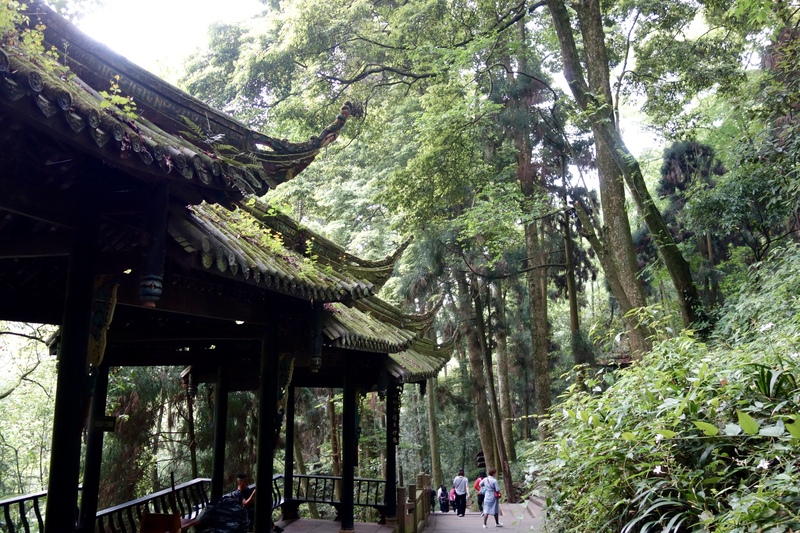 The paths may seem to be mobbed with mainland Chinese tourists from the start, but by sticking to the hiking trails instead of paying to take the cable car to the top, you will soon find yourself practically alone to enjoy a much more peaceful hike. The trails wind up the mountain through multiple temples and a gorge and are really atmospheric. 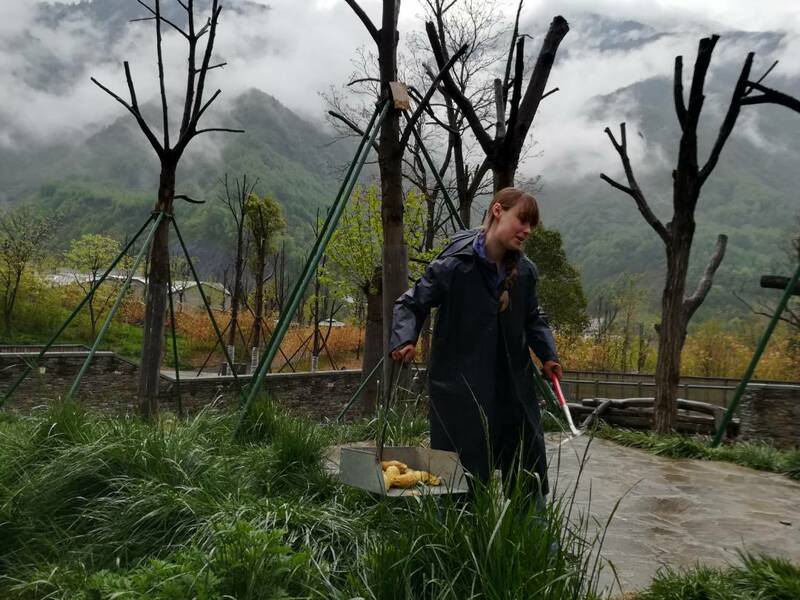 The next day was my “panda volunteer” zoo-keeper experience at Wolong (700 RMB per person including lunch). I skipped the opportunity to sit next to a panda for a mere 20 seconds to take a photo (2800 RMB per person for this “hug a panda” photo op) as a) it’s ludicrously expensive and b) it unnecessarily exposes pandas to diseases from careless visitors. All volunteers and panda huggers are required to provide a signed “medical check” health forms beforehand but this is just a pretence. The GP in Hong Kong I went to had seen the forms before (“Oh you’re going to visit pandas? Sure, I’ll tick all these boxes and sign here so you can hug them, no need to check anything.”) and there is no limit to how far in advance you can obtain the signed form, leaving plenty of time for you to catch a cold and pass it on. Ready to be zookeeper to some pandas! To reserve your place on the panda volunteer program (and to get the blank health forms), you need to email wolongpandacenter@163.com in advance of your visit. On the day, you need to bring the signed health forms, your passport and lots of cash – they don’t accept any credit cards. My day as a volunteer started at 9am cleaning out the indoor and outdoor panda enclosures (picking up old bits of bamboo and scooping panda poop) for a couple of hours, hosing down the inside rooms and putting fresh bamboo outside. Then it was time to feed the pandas through the bars of their indoor enclosures! This was such an amazing opportunity to get up close and personal with these creatures. After the hard work, they give you an hour or so break to walk around the zoo and see all the adult and baby pandas before heading back inside to prepare food for them. After the morning of work, it was time for some lunch (some of the best and most authentic Sichuanese food I had!) in the canteen, followed by sitting down to watch a 40 minute video about the work they do to rehabilitate pandas, then I went back to feed the pandas once more. The whole day was finished by about 2pm. Although I had a wonderful experience and throughly enjoyed myself, I would caution to be prepared for A LOT of downtime in between activities and don’t expect to learn much about pandas. I was given zero information from the staff, none of whom spoke English even though I were assured there would be English speaking staff when I booked, which was very disappointing. The following day, before heading home, I stopped at the CRBGPB zoo in Chengdu for a couple of hours on my way to the airport. There were many of adult and juvenile pandas there (no babies) but they were visibly panting in the shade (it was 25-27 degrees that day) and most of them looked hot, bloated and uncomfortable. It was also overrun with local tourists who kept hanging their children into the enclosures to get photos, shouting to each other, and pushing other visitors out of the way. If you have the option to go somewhere else, avoid this zoo and give your money to centres that care for pandas in more natural climates. 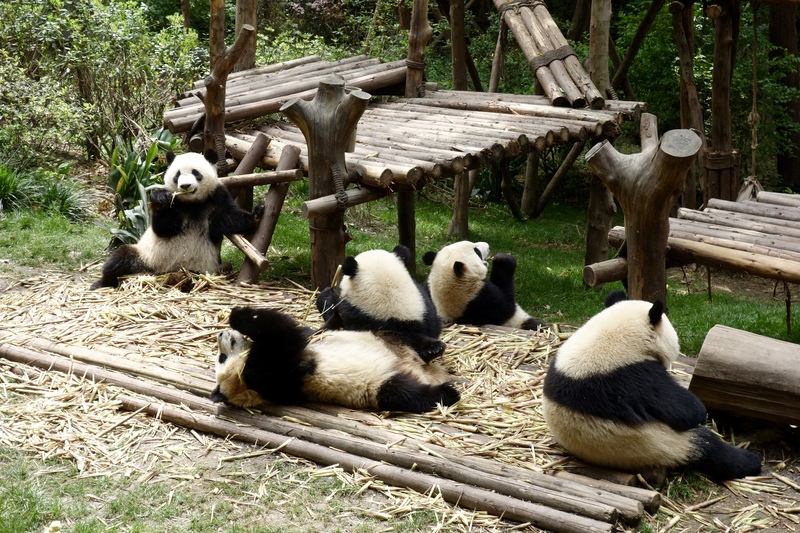 How to get there: there are many daily international flights to Chengdu airport; all the panda centres are a few hours drive away from the airport, so hiring a driver in advance is more convenient than trying to take a taxi. 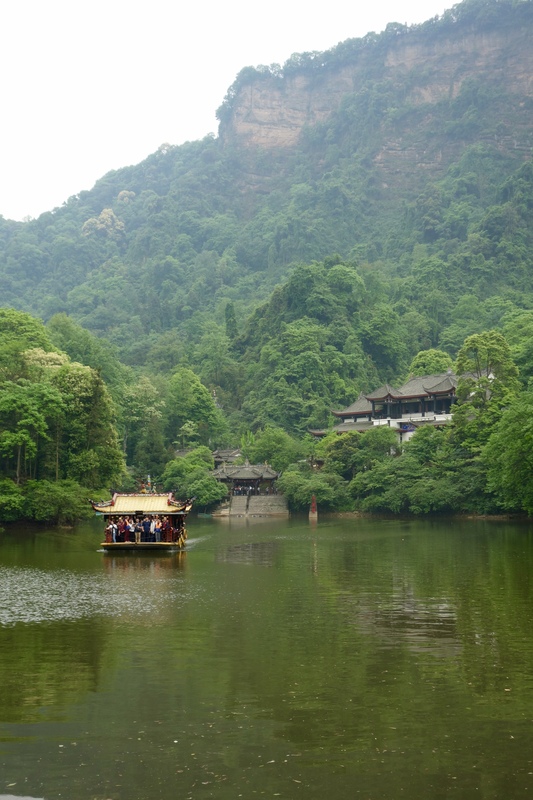 Holly’s top tip: stay in the mountains to the west of Chengdu to see pandas in their natural habitat and avoid the zoo in the city.